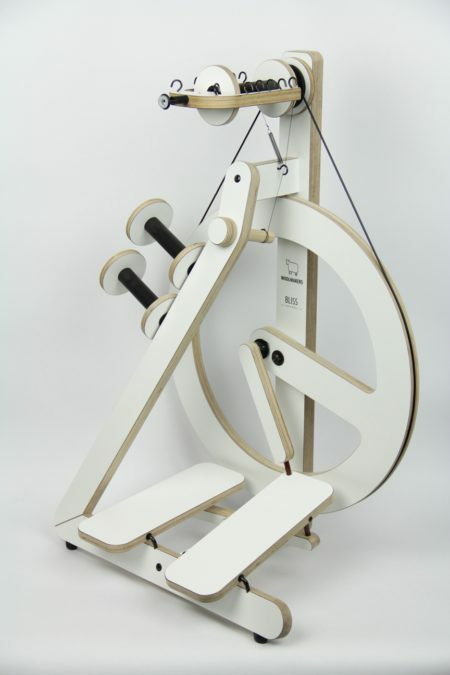 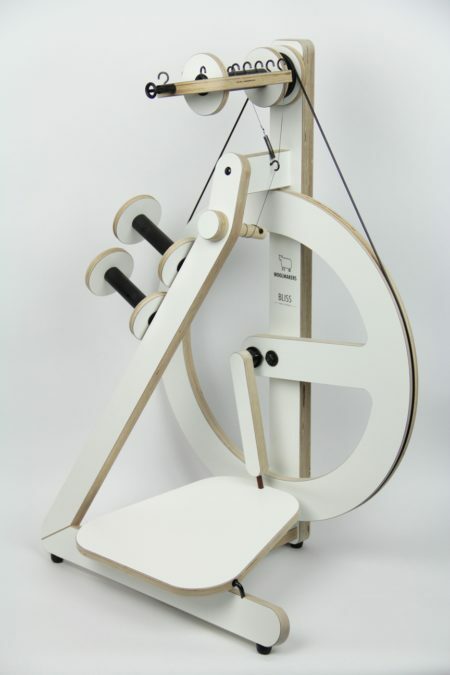 Giant is a 19 cm wide drum carder made of laminated birch overlaid with white HPL on both sides and has 46 tpi. 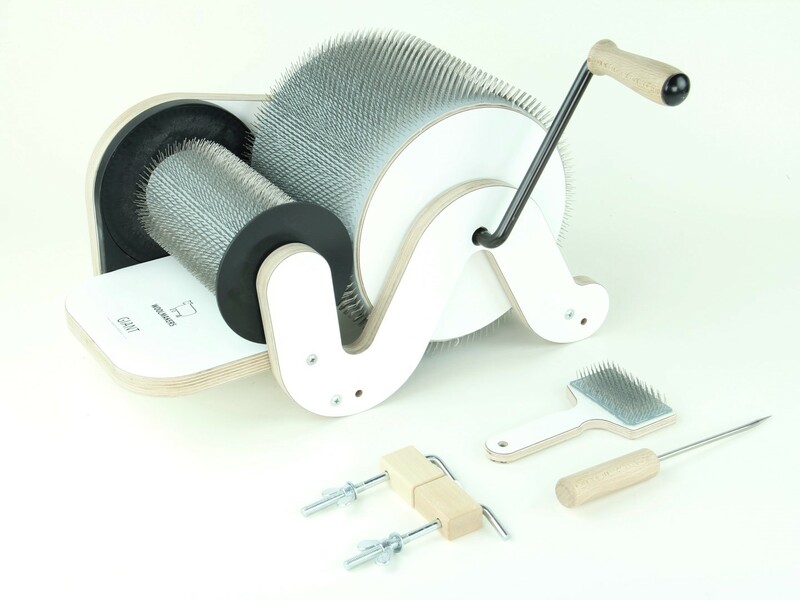 He will help you to prepare fibres for spinning, felting and more. You can card all kinds of fibres and even mix colours and structures together. 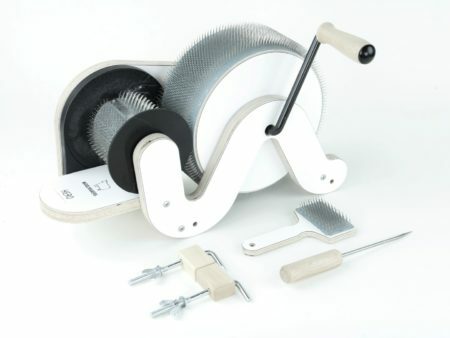 Doffer pin, doffer brush and table clamps are included.